Home Presenting Mr and Mrs Jonas! Presenting Mr and Mrs Jonas! 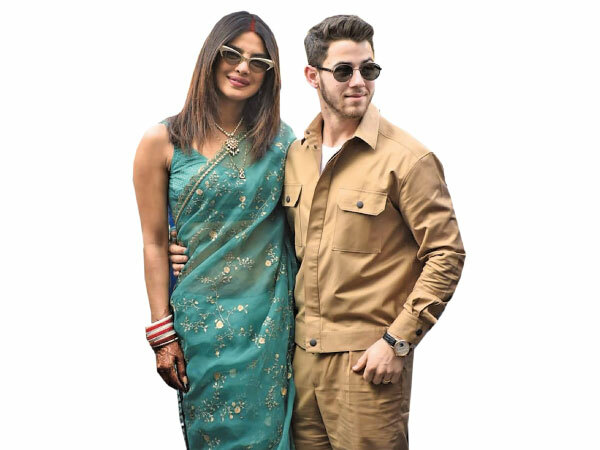 Newlyweds Priyanka Chopra and Nick Jonas were seen for the first time on Monday as they departed Jodhpur the day after their second wedding ceremony and arrived in Delhi. The couple looked besotted with one another as they posed for photos outside after touching down in Delhi. Priyanka chose an elegant emerald green sari for her departure as she cosied up to her new husband, with the couple both displaying their new wedding rings after exchanging vows in both a Christian ceremony and a Hindu celebration over the weekend. The Bollywood star and American singer married in a Christian ceremony Saturday night presided over by the groom’s pastor father. 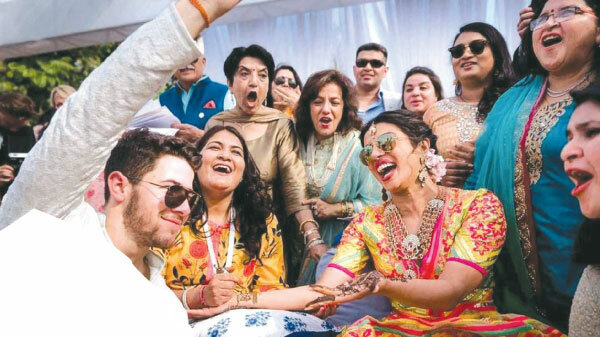 On Sunday, Nick Jonas, 26, and Priyanka Chopra, 36, celebrated again with a traditional Hindu ceremony which followed a great big dance party with their guests, who shared a look at the celebrations on social media. According to the Bombay Times, the day started at Umaid Bhawan Palace in Jodhpur, India, with a two-hour breakfast program followed by the traditional haldi ceremony at 12:30 p.m. The haldi ceremony is when the bride and groom have their hands and feet, and sometimes their faces and necks, covered with a paste made from tumeric. It is applied by their close family and loved ones as a gesture to ward off evil spirits. 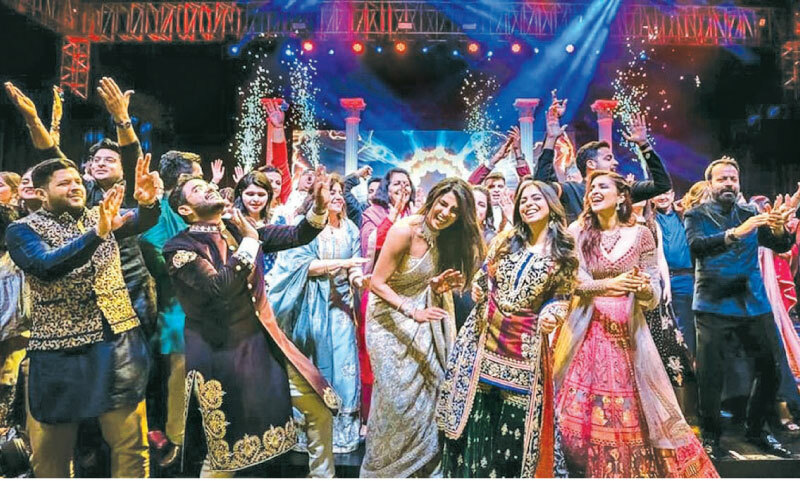 On Friday, following their arrival at the Umaid Bhawan Palace, the couple had held a Mehendi ceremony, where they both had elaborate henna designs applied to their hands.Then on Saturday after the Christian marriage service, there was a traditional Sangeet party that is held the night before an Indian wedding. Priyanka, 36, danced to her own film songs before her movie star cousin Parineeti Chopra and some friends acted out the story of her life and relationship with her groom. 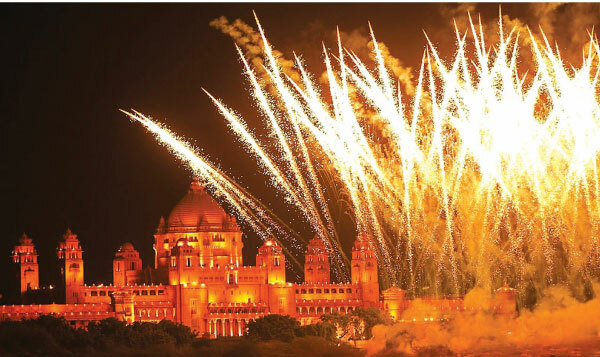 The night concluded with a massive fireworks show outside Umaid Bhawan which could be seen across the whole city. The couple got engaged after Nick proposed to Priyanka on her 36th birthday in London in July after a whirlwind romance. The musician proposed with a diamond ring from Tiffany’s.